In just a month’s time, HBC has the privilege of hosting the 2013 Stand for the Gospel conference. We’re praying for God to make us freshly aware of His grace and goodness through Jesus Chris as we look forward to rich times of prayer, preaching, singing and fellowship with men and women from across the country. Our keynote speaker for this year is Thabiti Anyabwile, who serves as Senior Pastor of First Baptist Church of Grand Cayman, in the Grand Cayman Islands. Previously, Thabiti was an assistant pastor at Capitol Hill Baptist Church in Washington D.C. (you can read a more detailed account of his testimony here). 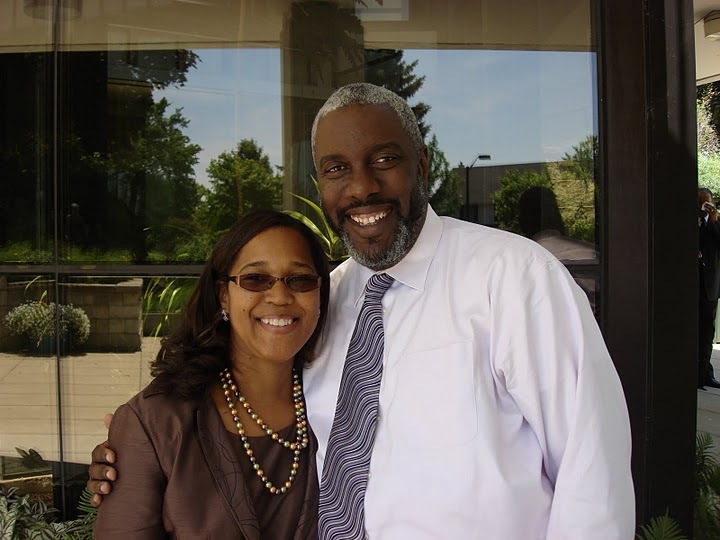 It will be a joy to host Thabiti, his wife Kristie and their children in New Zealand for the first time. Thabiti will be bringing us five messages from the book of 1 John, as well as a special seminar/Q&A on evangelism and reaching those from different religions. We asked him to share a bit more about his life, and what he’ll be speaking about in the main sessions. 1. Briefly share your testimony of conversion with us. I grew up in a nominally Christian home in a nominally Christian section of the United States. I became a pretty angry teenager after my father left the family when I was age 13. Though a pretty good student and athlete, I spent my time with the wrong crowd. I was arrested at age 16 and that began my religious search. After joining a church that was not clear on the gospel and being "baptized," I soon began to think Christianity was false. By my second year at university I converted to Islam. I became a real zealous promoter of Islam until a few years later I began to see theological problems with the religion. That led to a year of questioning and doubt, at the end of which my wife and I miscarried our first child. In the humbling pain of that miscarriage the Lord reached us both through the faithful gospel preaching of a local church pastor. We were converted, baptized, and began to serve the Lord together. Nearly 20 years later I can’t believe the Lord allows me to preach His word! It seems to me that being sure we really have been born again or "born of God" as the apostle John puts it in 1 John is necessary to Christian joy, Christian perseverance, and Christian fruitfulness. Getting help with our doubts, or discovering that we may have been false converts-as I once was, may be necessary to a flourishing spiritual life. Confidence that they really do belong to God and a healthy sense of how God is proving their salvation in their lives. Wow. Choosing one passage is difficult. But if I had to maybe point to two verses it would be 1 John 5:1 and 13. 5. Can you expound on one point that you’ll be making in your messages? The book of first John was written to give people assurance that they really are born of God (1 John 5:13). We may have a greater personal sense of God’s love for us, His work in our lives, and His use of us in loving others than most Christians likely have from day-to-day. Having that assurance gives rise to joy, perseverance, and zeal in the Christian life. As I said earlier, I was once a practising Muslim and then an agnostic. When the Lord saved me He graciously did two things. He allowed me to see evidence of divine change in my life. And the Lord made me acutely aware that I had once deeply believed a lie, whether the false claims of Islam or the false agnosticism I had held. Those two things have made the doctrine and the experience of assurance particularly sweet. I’m convinced I’m not what I once was and that the truth of the gospel grounds my hope and joy. Whenever I reflect on the assurance God has given me I’m elated to find once again that I am not an orphan anymore. I’ve been adopted in His love. A couple of excellent resources would be: Burke Parson (ed. ), Assured by God and Mike McKinley, Am I Really a Christian? 8. What would you say to someone who is trying to decide whether or not to come to STAND 2013? What are you waiting for? The Lord is going to meet us and bless us tremendously as we worship him in song, prayer, and truth! Would you like to join Thabiti and others in celebrating the assuring power of gospel? For more details and to register for STAND 2013, visit: http://www.standforthegospel.org/conference/stand-2013/. Update: Thabiti’s messages can be found here.